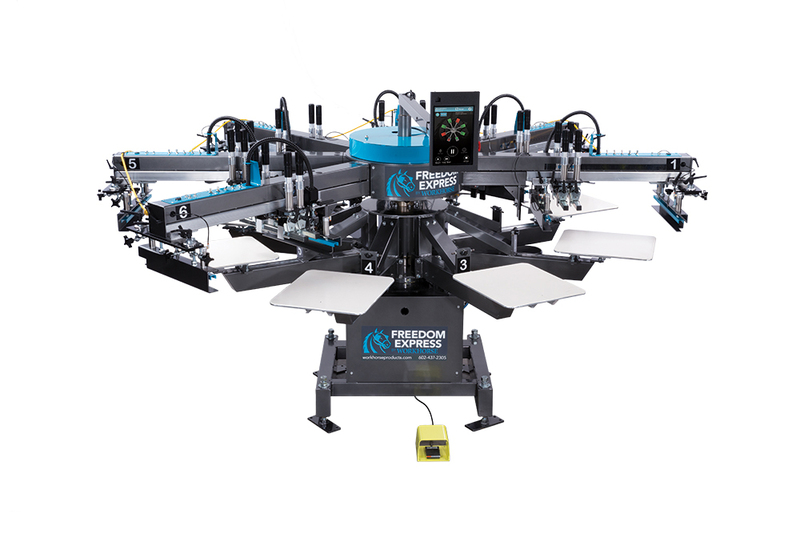 The Freedom Express is the premier entry-level automatic screen printing press on the market. 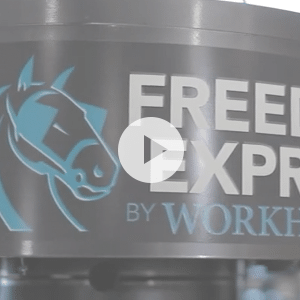 This fully pneumatic press powered by the Workhorse OS has everything you need to tackle the transition from manual to automatic printing. 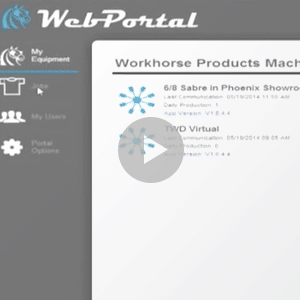 Utilizing the Owners Portal gives you a free and easy flow of information between your office and the machine. 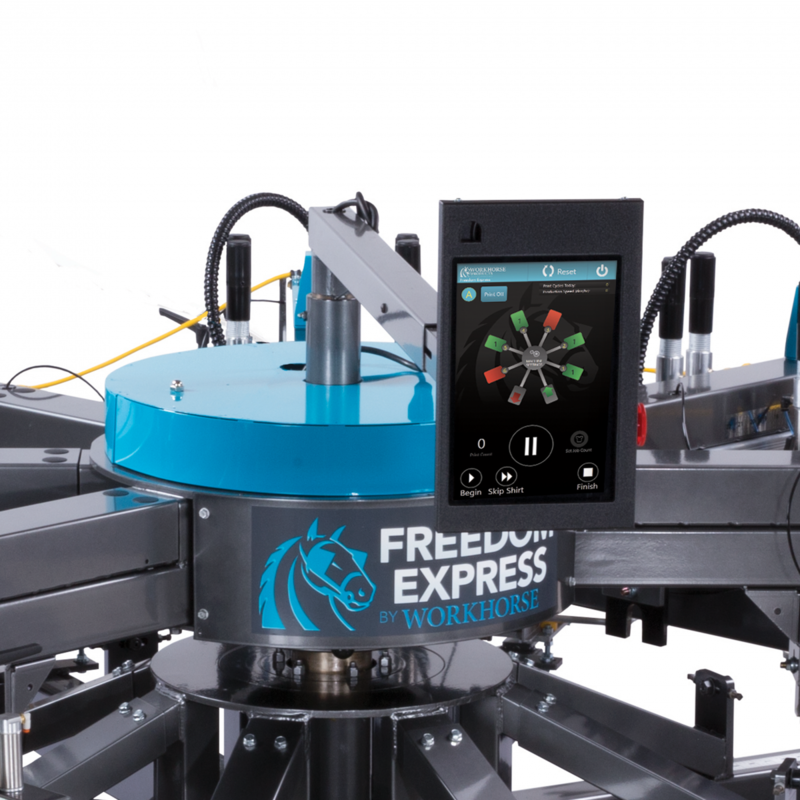 The feature rich Freedom Express is the greatest value for anyone entering the world of automatic printing. 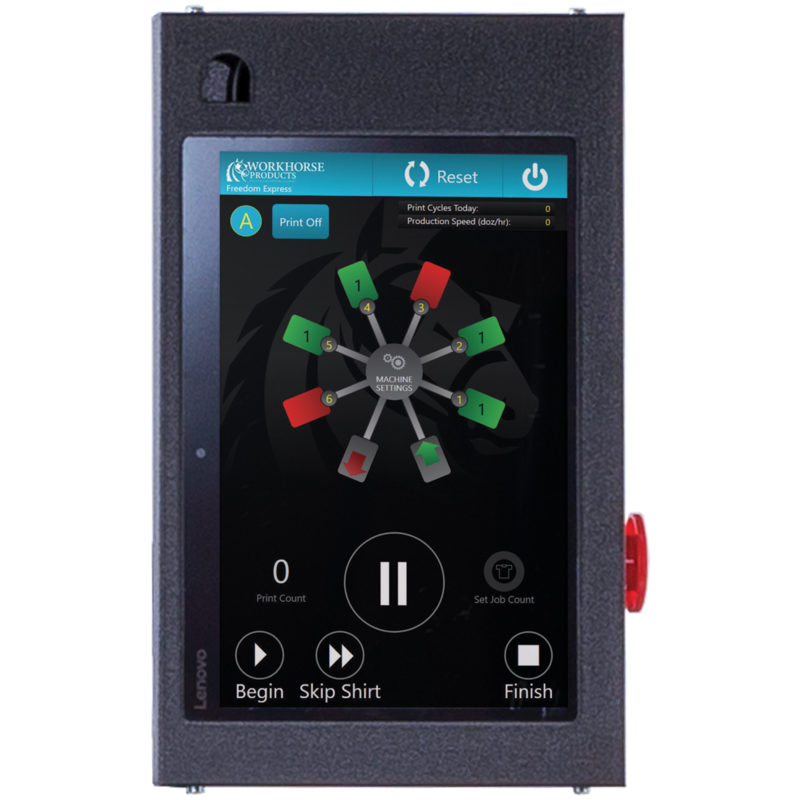 Intuitive software with functions like Sample Print Mode, Missed Shirt Feature and Orbital Mode. 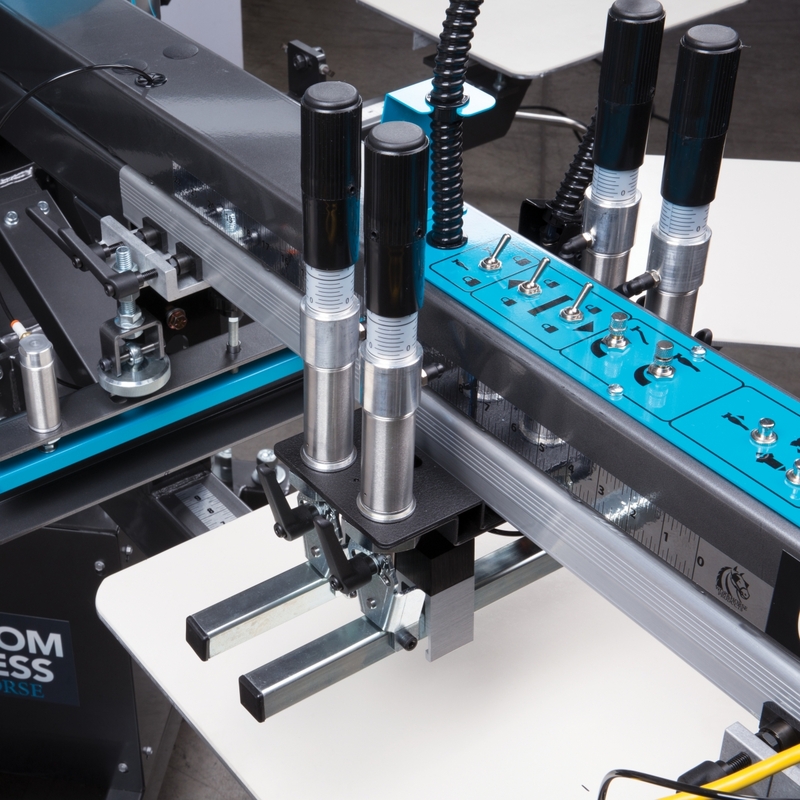 Independent print & flood speed with front & rear pneumatic screen clamp switches. Table up/down, index & print buttons. Super-responsive front & rear micro registration comes standard. 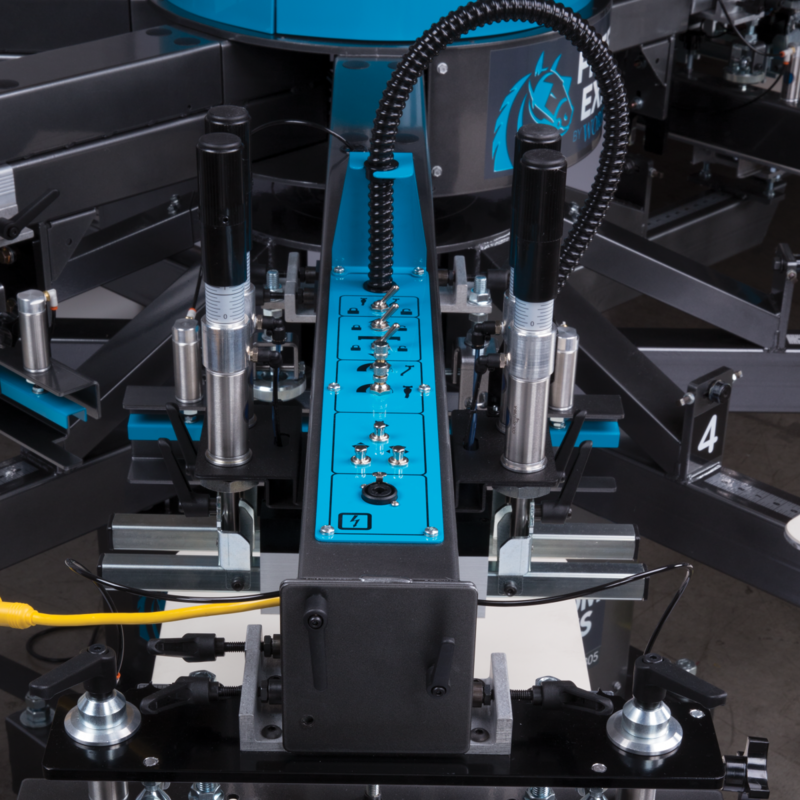 Precision grid patterns provide excellent control & visibility of screen position. Advanced chopper system improves stroke length to increase image area. Default up-state keeps squeegee & floodbar up off of screen and facilitates easy set-up & tear-down by allowing more screen clearance. 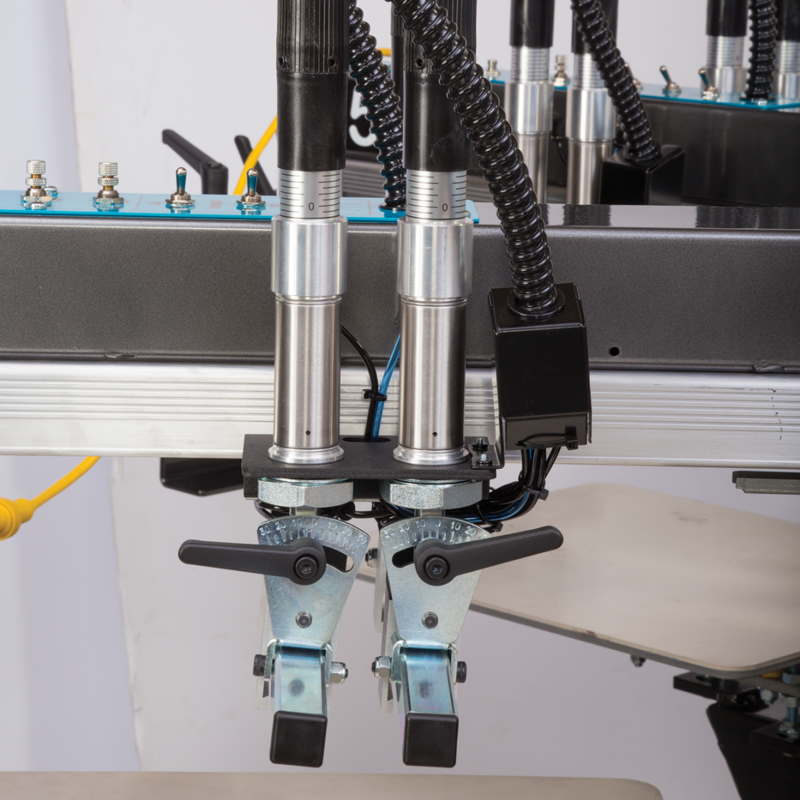 Operators have the ability to quickly change between different substrates with the fast and easy central off contact feature. 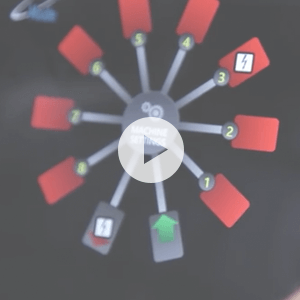 The control panel is easy to learn and operate. It can be rotated to any print station. 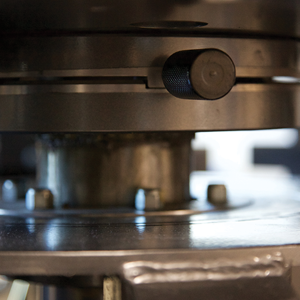 This flexibility gives you complete control of the entire machine from anywhere on the press. 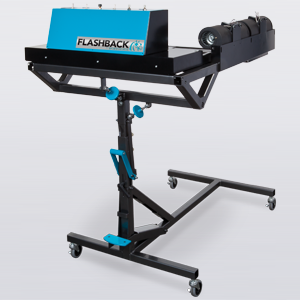 The patented FlashBack is the only system on the market that allows you to print, flash, and cool all at one station. This means a six color printer can truly print six colors.